was held on Thursday 21 March 2013 at the NGV International Clemenger BBDO Auditorium. Keynote speaker: Dr June Ross. Dr Ross is chief investigator with Prof. Mike Morwood of KFA-sponsored Change & Continuity: Chronology, archaeology and art in the North Kimberley (Australian Research Council project). The Change & Continuity project aims to establish a chronology and social context for the production of rock art in the region. The project has involved 23 researchers across a range of disciplines and two Indigenous communities. 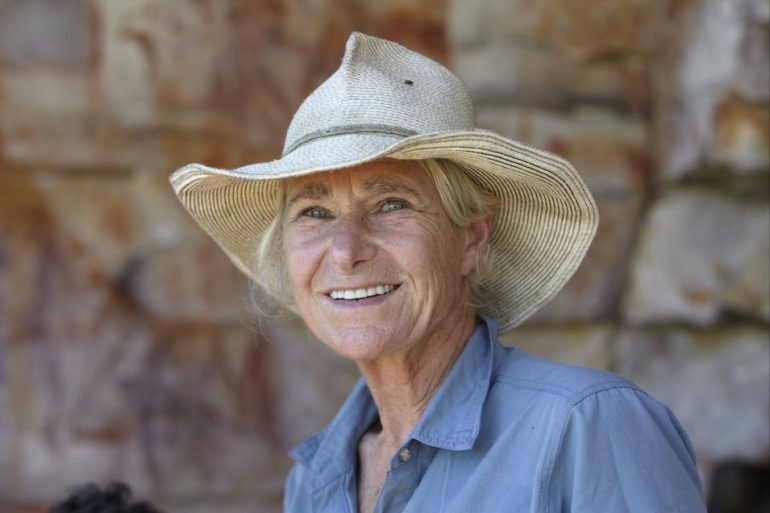 Dr June Ross is currently working on three Australian Research Council (ARC) collaborative archaeological research projects across Australia with colleagues from the National Museum and a number of Australian universities. June lectured and taught one of the few rock art courses in Australian universities at University of New England (UNE). She entered rock art studies from a background in art education and completed her Ph.D. at UNE on rock art in the Australian arid zone. June has researched, taught and published extensively on Aboriginal art works and has undertaken fieldwork throughout central and northern Australia. NGV International Clemenger BBDO Auditorium.